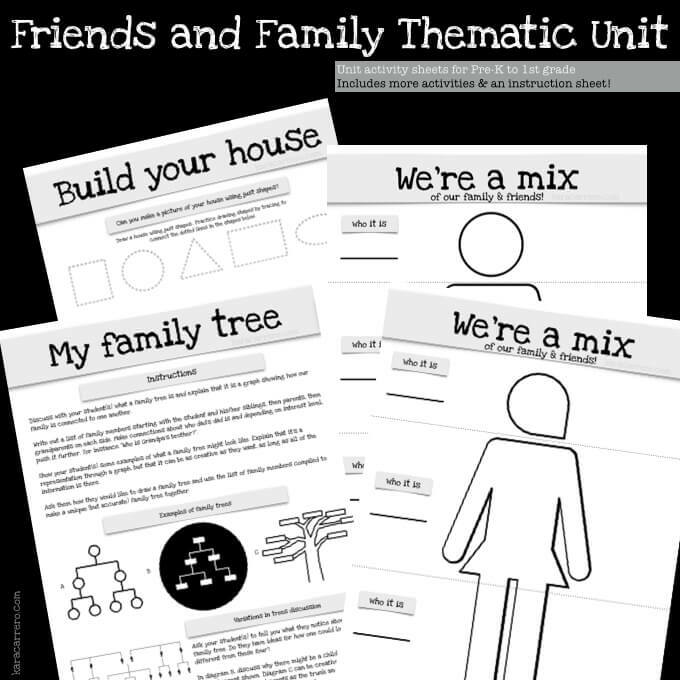 This is a printable pack of 13 pages that includes what you’ll need to study friends, family, and home. Perfect for both homeschool and classroom use. 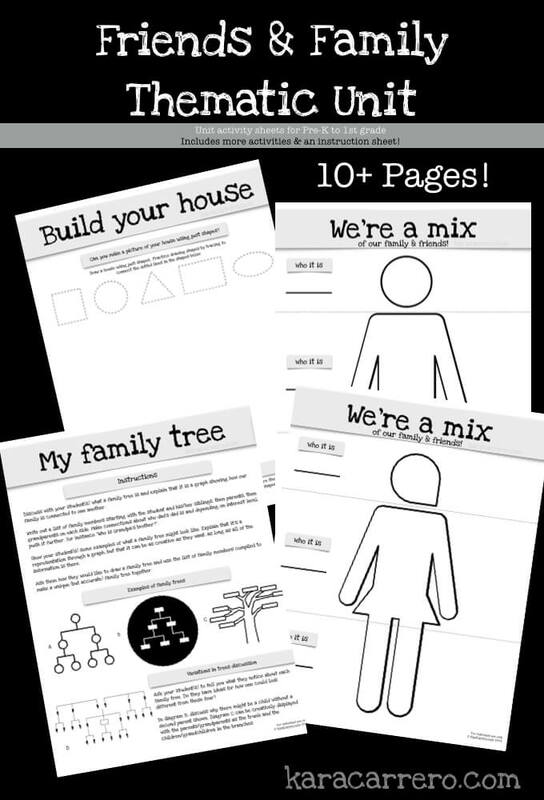 * “My Family Tree” graphing and family tree creation activity. It also studies types of family trees and how each are different.